Welcome to day 2 of my Countdown To Christmas Cookie Recipes. 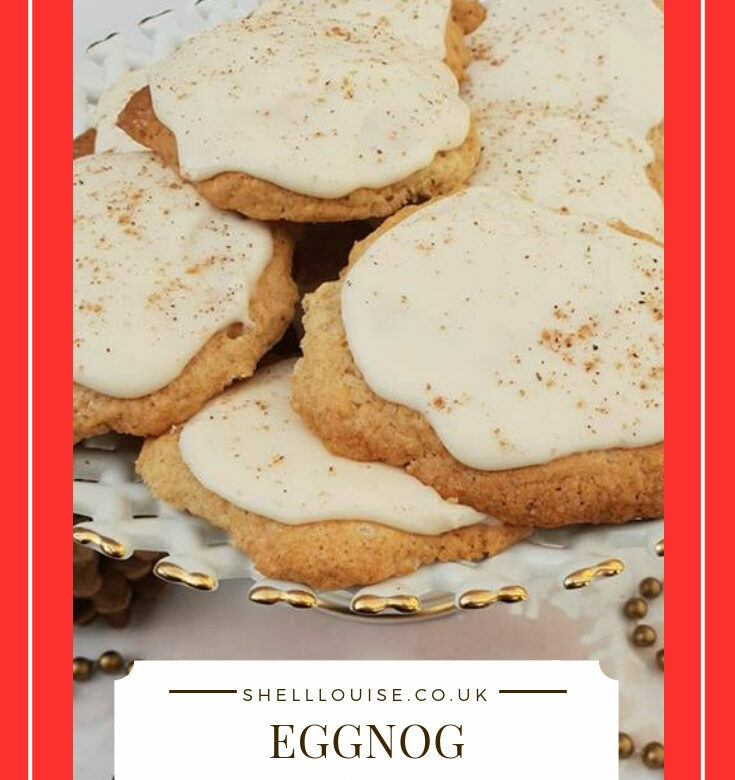 Today’s recipe is for Eggnog Cookies. I have to say that I’ve never tried traditional eggnog. We always have snowball drinks at Christmas which is made from Advocaat but I think Advocaat is different to traditional eggnog. Tomorrow’s recipe is for Spiced Rum Cookies. To make the eggnog mixture, beat together the egg, 25g of the caster sugar, rum and milk until frothy then set aside. In a large bowl, cream the rest of the caster sugar and 140g of the butter until light and fluffy. Beat in the vanilla extract and the egg yolks until smooth. Sift together the flour, baking powder and 1/2 tsp of nutmeg into the mixture and beat in 100ml of the eggnog mixture until just combined. Place heaped teaspoonfuls of the mixture on the prepared baking sheets, spaced well apart. Flatten slightly with damp fingers and bake in the preheated oven for 20-25 minutes or until the bottom of the cookies turn golden. Leave to cool for 5 minutes on the baking sheets and then transfer to wire racks to cool completely. Once the cookies are cool, beat together the icing sugar, remaining butter and the remaining eggnog mixture to make a soft, spreadable icing. Ice the cookies and sprinkle with a little nutmeg on top.